August 12 is an annual public holiday in Thailand in honour of Her Majesty Queen Sirikit’s birthday. HM Queen Sirikit is said to be the ‘Mother of the Nation’ which is why her birthday on August 12 is also celebrated as Mother’s Day (Wan Mae) in Thailand. The Thai queen was born on August 12th, 1932 and married HM King Bhumibol Adulyadej on April 28th, 1950. Well known for her charity work, Queen Sirikit is also the honorary president of the Thai Red Cross which is a post she has held since 1956. Queen Sirikit has not enjoyed good health in recent years with her public appearances limited. A number of events take place throughout Thailand to commemorate the royal birthday. 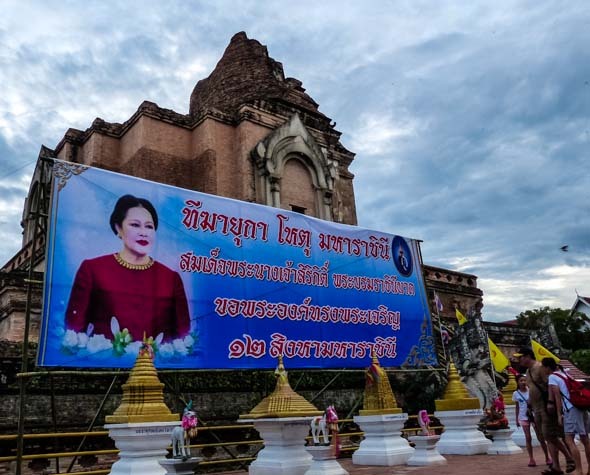 Merit-making events are held at various temples with portraits of HM Queen Sirikit placed in prominent display in front of schools, government offices and temples. 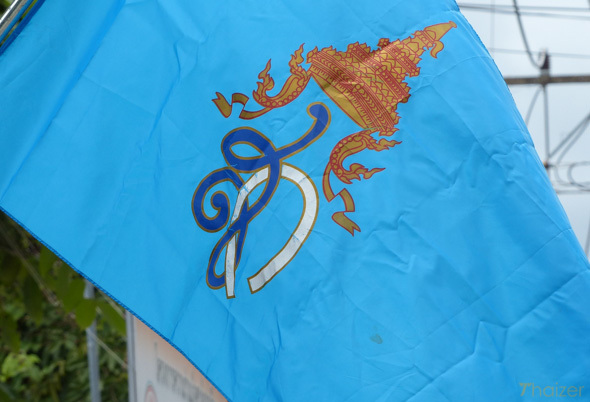 The Thai queen’s royal blue flag (blue representing Friday, the day of her birth) can also be seen outside many businesses and private residences. Please note that some bars and clubs in Thailand may be closed on August 12.